After licensing is almost complete, most family child care providers become MCCA members to access a range of benefits and services. 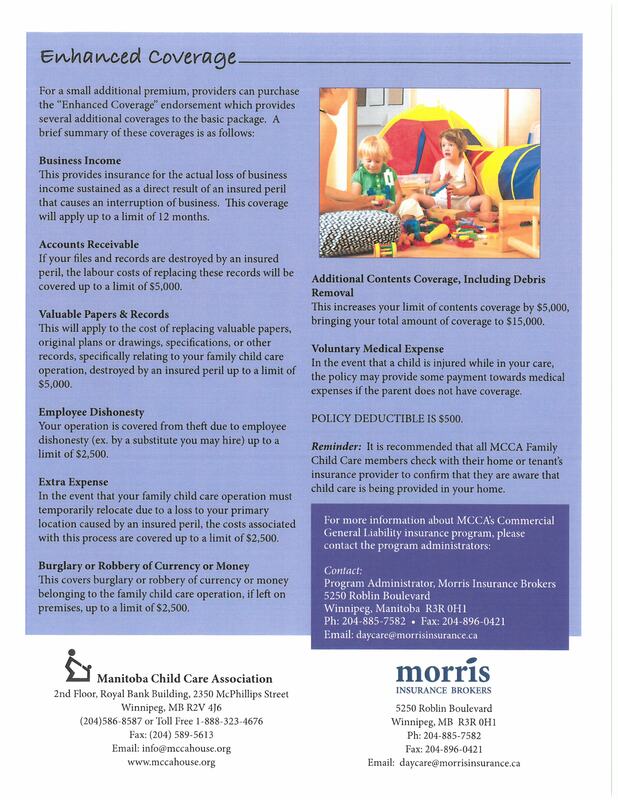 Most popular are the group rates for liability insurance that is required for all licensed family child care homes and a group benefits plan that offers long term disability and health coverage for the individual or family. 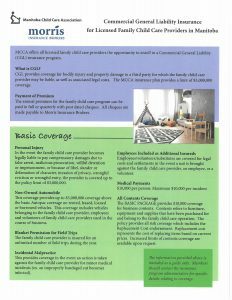 An MCCA membership also includes a Child Care Activity and Record Keeping Calendar, designed to help providers with program ideas and manage the business requirements of a self employed person. All providers receive 4 issues annually of our publication, Child Care Bridges, as well as a joint membership with the Canadian Child Care Federation. Providers can register for MCCA events such as workshops and conferences at reduced rates. Attach a cheque for payment in full: $12.50 per month x the number of full months remaining January-December . You will be invoiced annually to renew your membership. 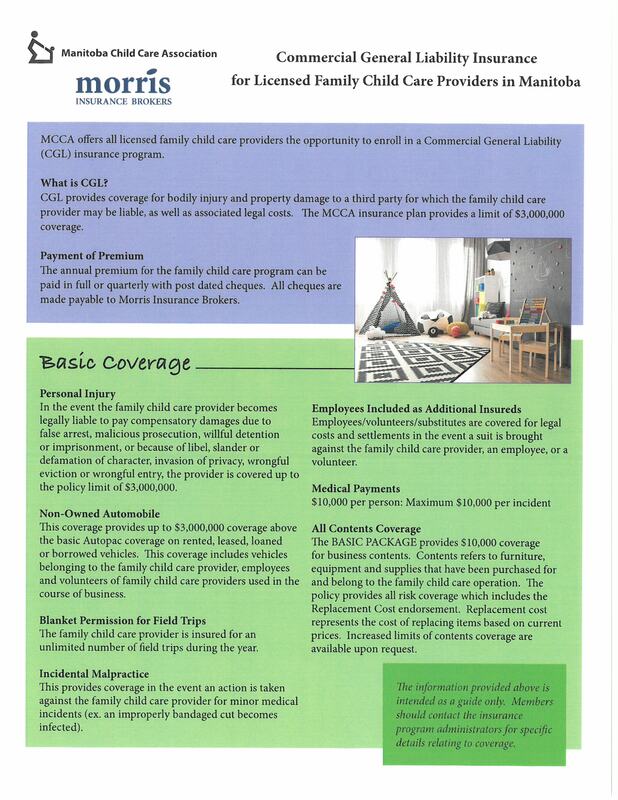 To apply for liability insurance, complete the Liability Insurance Enrollment Form and return it to MCCA with payment. 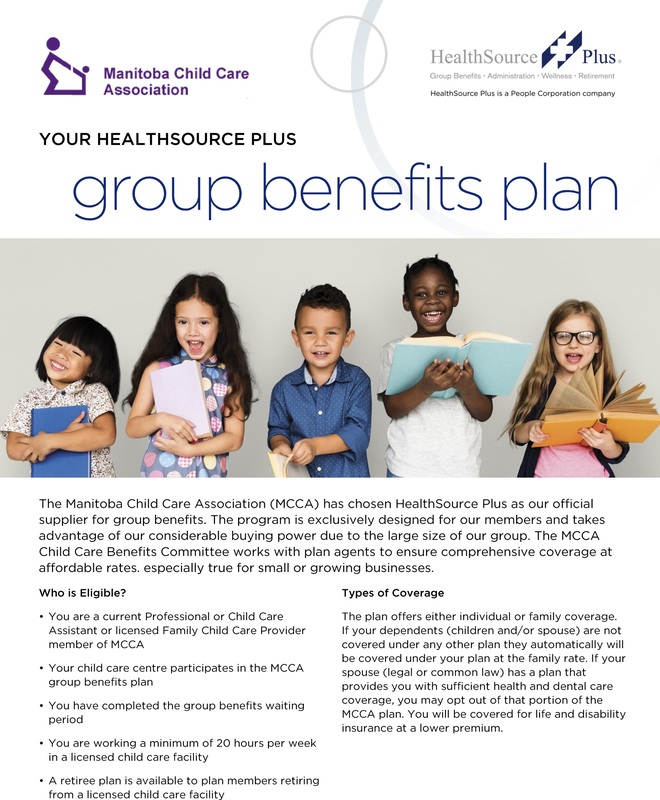 An optional group benefits plan is available for licensed family child care providers in Manitoba. 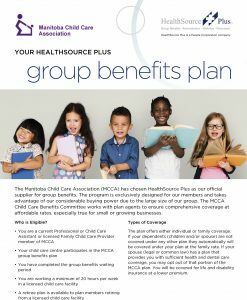 Providers that choose to participate must enroll within six months of becoming licensed and joining MCCA. Providers that apply after the six month waiting period will be considered a late applicant and will have to provide evidence of medical insurability. To help you with your home based business, here is Government of Canada information for those providing child care in their home.